At the outset, it is important to understand that there are no surefire methods currently in practice that can accurately diagnose a mental health disorder. As the mental health watchdog organization CCHR points out, there are no tests or diagnostic tools that can conclusively determine if someone has a mental health disorder. Further, there are no tests to support that mental health disorders qualify as diseases. The present state of diagnostics in psychiatry is no discredit to the field. In fact, psychiatry has made major advances over the last century alone, and there is a clear trend toward total de-stigmatization of mental illness. As Pacific Standard discusses, subjective measures are relied on in the diagnostics process. This subjective process includes a qualified mental health professional assessing a patient’s medical history, current symptom profile, and overall health condition. A qualified professional who decides in her expert opinion that a mental health disorder may be present will consult the Diagnostic and Statistical Manual of Mental Disorders (DSM), which serves as a clearinghouse of information in the field of mental health. The American Psychiatric Association (APA), publisher of the DSM, is careful to advise clinicians that although the manual is dictionary-like, it is only intended as a reference guide to assist the diagnostics process. The DSM should never be used as a conclusive diagnostic resource as that approach presents too great of a risk of error. Although the DSM is indispensable to the current diagnostics process, it is only one tool in a constellation of many resources. The DSM is currently in its 5th edition (published in 2013). Before this latest edition, the last sweeping update was in 1994. As almost two decades had elapsed between the 4th and 5th editions, it should come as no surprise that APA has undergone a shift in its thinking about mental illnesses between those publications. For instance, as the journal The Professional Counselor explains, axis I, II, and III were eliminated as of the 5th edition. For anyone unfamiliar with the axes, it was a system that helped clinicians to separate and categorize disorders. The elimination of the axis system has been interpreted to mean that the field of psychiatry is shifting toward a greater emphasis on the biological aspects of mental illnesses. Many clinicians and researchers appear to agree that the future of psychiatric diagnostics will involve more qualitative measures, like brain imaging. It is necessary to note that there is a difference between personality tests and screening tools used to decipher the presence of a mental illness. As PsychCentral explains in depth, psychological tests are helpful to assess a person’s competencies and interests. Such information can then be used to help make major life decisions, like which career to pursue. Legitimate, evidence-based psychological tests occur in a clinical setting, such as in psychotherapy sessions. Psychological tests popular among consumers may be illuminating and entertaining, but they are well outside of the clinical diagnostics process. Screening tools and assessments are different from personality tests. Clinicians follow official screening tools and assessments, developed from scientific research, to help diagnose a mental illness. The goal of diagnostic tools is to accurately identify any existing illnesses and implement the appropriate course of treatment. The Substance Abuse and Mental Health Services Administration (SAMHSA) advises the public and clinicians alike that mental health and substance abuse screenings should occur during routine primary care appointments for patients of all ages and backgrounds. Early detection can lead to early intervention, which is always advisable. Diagnostic tools are developed to be sensitive to certain mental illnesses. As a result, there are numerous tools for various disorders. To provide insight into the process, consider SAMHSA’s screening tool for clinicians in the bipolar disorder diagnostics context. A review of SAMHSA’s “STABLE: Standards for Bipolar Excellence” demonstrates how much of the diagnostics process is driven by the patient’s answers to questionnaires finely tuned to detect the official features of bipolar disorder. In accordance with medical standards and practice, clinicians then review the questionnaire responses and scale them according to existing criteria. The clinician’s expertise and judgment are essential to the process. Bipolar disorder is an example of an illness with diagnostic subcategories. Part of the complexity of the diagnostics process is that an attending clinician must not only accurately identify the disorder, but also identify any subcategory to which it belongs. This step is exceptionally important because different treatment protocols can attach to different subcategories of disorders. The International Journal of Psychosocial Rehabilitation describes how the diagnostics process is deeply intertwined with the insurance coverage process. There are numerous stakeholders in the mental health field, including the doctor, patient, patient’s loved ones, and contractual parties such as insurance companies and managed care companies. Categorical diagnosis of a mental health disorder, with the assistance of the DSM-5, not only provides a clear way for clinicians to communicate with other clinicians, but also with insurance companies. Clinicians need to provide insurance carriers with a categorical diagnosis to help ensure coverage for the recommended course of treatment. In the case of severe mental illness, clinicians must structure the diagnostics process and use targeted diagnostic tools to cull information that managed care companies require, such as a functional analysis. This type of information involves the clinician explaining to the managed care company how the recommended treatment will help to alleviate specific disabilities that afflict the diagnosed patient. The functional analysis in turn provides clinicians and caregivers with a blueprint for a tailored treatment plan. Insurance carriers and managed care companies, both of which operate from a position of cost-effectiveness, require that treatment be targeted to the most severely disabled areas of the diagnosed person’s life. The American mental health care system remains mainly reactive to conditions rather than focused on preventative measures. However, as insurance companies increasingly realize the cost benefits of preventative care, we may see a shift toward a focus on wellness rather than disease. When a person simultaneously experiences a substance use disorder and one or more mental health disorders, he or she is considered to have co-occurring disorders. SAMHSA provides counselors in the field of co-occurring disorders with a guide to basic screening tools and assessments to help determine whether a patient should receive a diagnosis for co-occurring disorders. Note that SAMHSA specifically gears the material referenced here to mental health counselors, not psychiatrists or other doctors. As SAMHSA explains, a professional screening should be tailored to answer the question: Does the interviewee indicate a substance use disorder and/or mental health disorder? This step is not intended to determine what type of disorder may be present or its severity grade. According to SAMHSA, any trained mental health professional should be able to conduct a basic screening for co-occurring disorders. Of course, there are numerous screening tests and tools available. SAMHSA provides a guide on screening assessments to assist counselors. If, after scoring the interviewee’s responses a counselor determines that the interviewee positively screens for a disorder, the next step will be to conduct an assessment. Whereas a basic screening is quite generalized, an assessment is a process geared to define the nature of the disorder and develop a matching treatment plan. The assessment should collect vital relevant information such as the client’s background (including family dynamic and any trauma history), substance use (relevant factors include age of first use, pattern of use, and drugs of abuse), and any mental health problems (such as personal history, family history, and any current or past psychiatric medications and treatments). A basic assessment usually involves numerous tests, including written and verbal exercises. The results of these diagnostic measures will help the supervising counselor to determine the client’s readiness to change as well as which areas of life are problematic, disabilities, and strengths. In addition, counselors may choose to augment the assessment process with standardized measurements accepted in the field, such as the University of Rhode Island Change Assessment Scale and the Symptom Distress Scale. Once all of the necessary relevant information is collected, the counselor is advised to refer the client to a psychiatrist who can officially diagnose the substance use disorder and/or mental health disorder. SAMHSA acknowledges that the diagnosis of co-occurring disorders can be particularly challenging. In the substance abuse treatment setting, clients often present with mixed mental symptoms that are difficult to attribute exclusively to the substance abuse or a pre-existing mental disorder. Further, drug use can amplify existing features of a mental health disorder, such as psychosis associated with schizophrenia, or create entirely new symptoms, such as drug-induced anxiety. Co-occurring disorders can present significant confusion, which requires that a systematic screening and assessment protocol be in place at the mental health facility or drug rehab center. 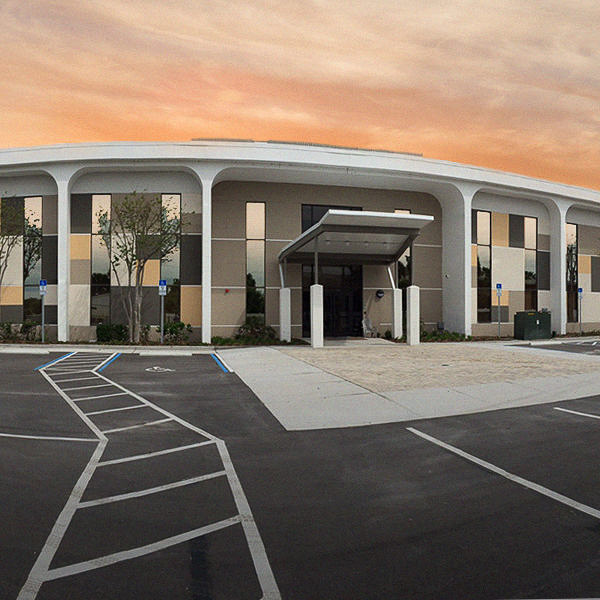 At Orlando Recovery Center, the expert team of addiction professionals are impeccably qualified to conduct a comprehensive intake process. 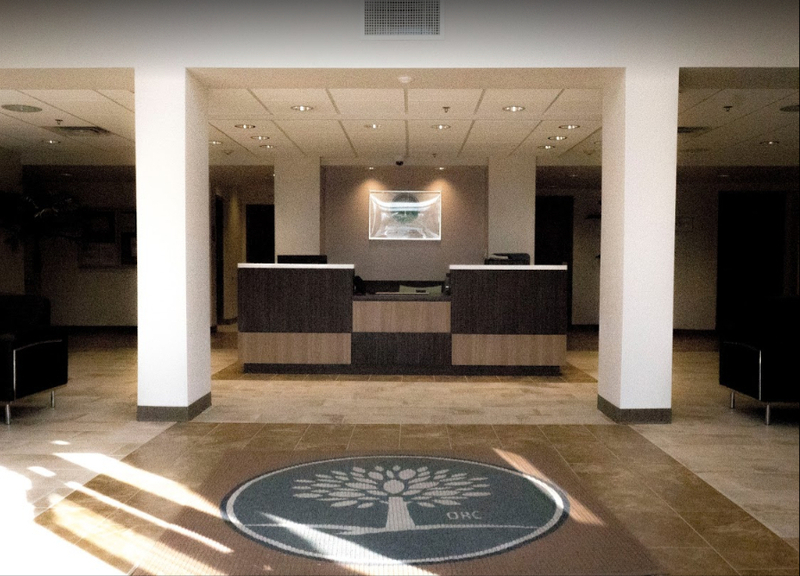 Decades of clinical experience and achievement of the highest credentials in the field provides the team with the skills necessary to accurately diagnose co-occurring disorders or a singular substance use disorder. Once a diagnosis is determined, the multidisciplinary team of top professionals works to create a plan tailored to the client’s individual needs.